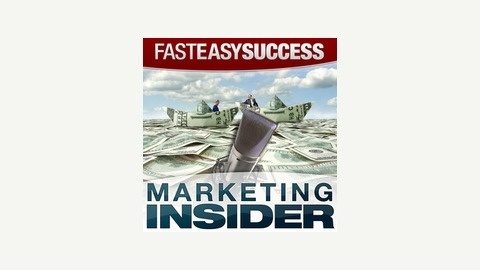 Welcome to the www.fasteasysuccess.com "FastEasySuccess Marketing Insider" podcast. If you're a serious business owner and or entrepreneur who’s ready for some proven-in the trenches tips and strategies to build your business faster and easier than you thought possible... Then close the door and turn your ringer off because you’re about to dive into this value packed-uncut-and uncensored podcast bringing you the refreshing-no fluff-no b.s. views in business, sales and marketing you deserve and desire. Your host...Eric Barton, the “Results Specialist” is the author of “Fast and Easy Steps To Marketing Succe$$”, a member of America’s PremierExperts, marketing strategist, direct response copywriter, search engine optimization specialist and serial entrepreneur. Eric’s unconventional and “result driven” views on business and marketing has attracted international attention earning him invitations to be featured on local and national press, including Entrepreneur Magazine, America’s Premier Experts, ABC News, CBS Money Watch and many more online and offline media sources. Eric is dedicated to helping business owners increase their business the fastest and easiest way possible and lives by the saying…“The True Definition of Success Is Helping Others Succeed”. Eric sometimes flies solo and mostly brings top players from different "worlds" to join in. Kick Back and Enjoy The Profitable Thrill Ride You've Now Discovered. 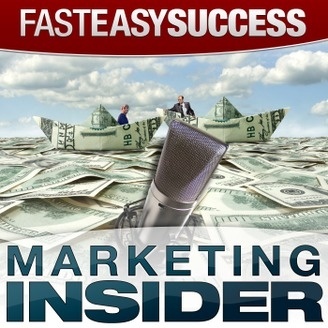 Join Me In This Fast Moving Episode Because I Talk About... *The 7 things gurus say but wont tell you *The quickest way to improve the quality of your leads *The one true way the gurus always make the big money And More.